Currington demonstrates an uncanny ability to interpret a lyric with a keen sense of observation, one that always seems to strike the right note with his audience. Riding high off the success of two back-to-back number one hits, Country crooner Billy Currington is hitting the road in 2019. The Georgia hitmaker set a new record in August 2017 when his smash hit single Do I Make You Wanna achieved a record number of listeners on the Billboard Charts, whilst It Don't Hurt Like It Used To spent multiple weeks in the number one spot. Embodying the Nashville dream, Currington relocated to the music city in the early 2000s, landing a job at a concrete company whilst moonlighting as a performer in the city's clubs and working on his demos. Generating buzz the old fashioned way, Currington stuck to his guns and proved hard work pays off when mega-label Mercury records snapped him up and launched his professional career. Fusing laid back rhythms and earnest lyrics, the heartthrob uses his songs to muse on the little things in life - from the bond between canine and man to the failing football team you can't help but root for. Seen Billy Currington? Loved it? Hated it? Sound good to you? 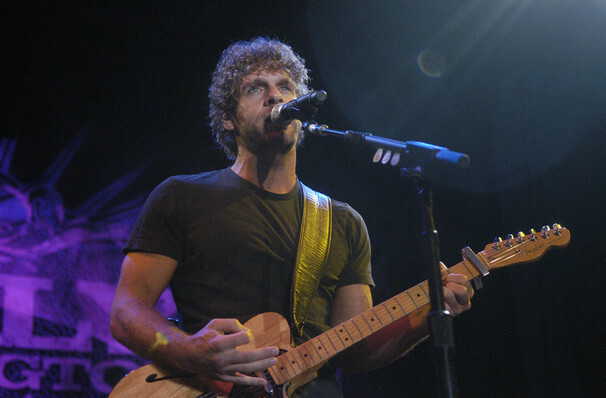 Share this page on social media and let your friends know about Billy Currington at Innsbrook Pavilion. Please note: The term Innsbrook Pavilion and/or Billy Currington as well as all associated graphics, logos, and/or other trademarks, tradenames or copyrights are the property of the Innsbrook Pavilion and/or Billy Currington and are used herein for factual descriptive purposes only. We are in no way associated with or authorized by the Innsbrook Pavilion and/or Billy Currington and neither that entity nor any of its affiliates have licensed or endorsed us to sell tickets, goods and or services in conjunction with their events.